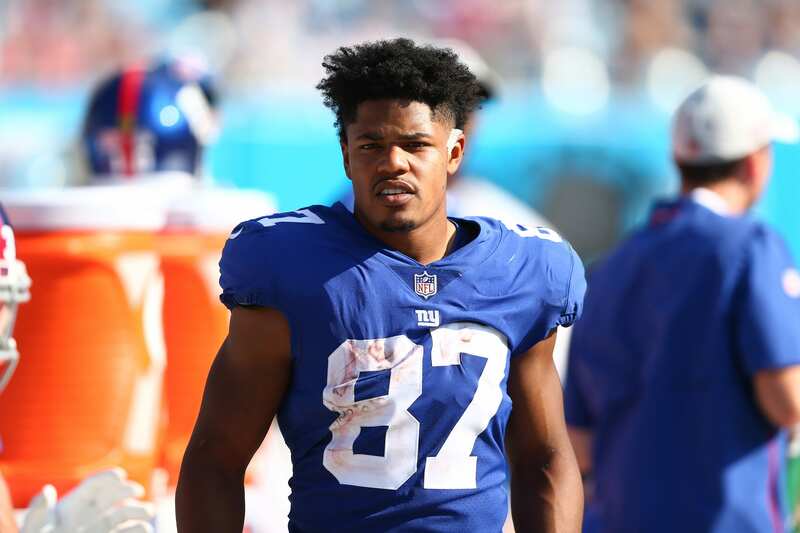 The extension of New York Giants‘ Sterling Shepard was well received by fans due to his great value in the slot and ability to move to the outside and compete. Odell Beckham Jr.’s yearly injury spell has helped Shepard develop a diverse skill set that can be utilized in various ways. The 2016 draft pick was expected to earn a nice contract after finishing his rookie deal with the Giants after the 2019 season. The front office found his production to be worthy of a second deal, locking him in for the next four years, $41 million. “I’m ready,” he said, according to Giants.com. “With Odell going down the last two seasons (with injuries), that time definitely helped me get a grasp of what being a leader is all about, and being that lead guy in the room. I think it prepared me for this moment. I was pretty vocal anyway. I’m a pretty vocal guy. That will be no problem. Being the most seasoned veteran on the Giants puts Shep in a position to not only be the top receiver but to be a leader. This contract thrusts him into a position of seniority and leadership, something he didn’t grasp when Beckham was the featured option on the team. Both Tate and Shepard have the ability to rotate from the slot to wideout, which offers more value as a traditional inside receiver like Jamison Crowder and Adam Humphries. Crowner earned himself a three-year, $28.5 million deal with $17 million guaranteed. You can clearly see the difference in production and value from this perspective. Crowder is purely a slot man while Shepard has a diversified skill set and can contribute in other areas. This contract extension for the Giants was an absolute steal.